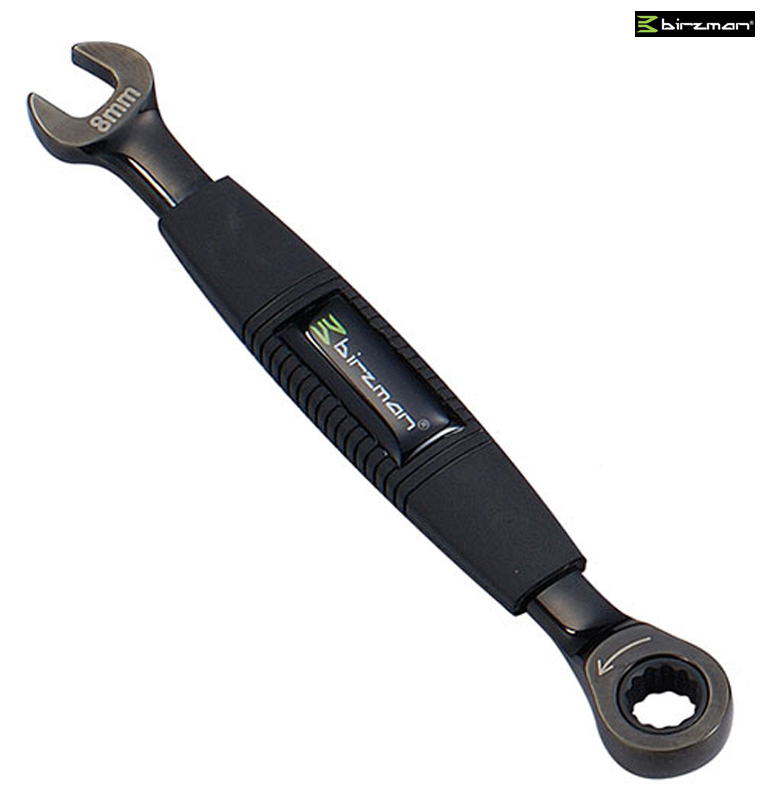 The Birzman GT2TP Combo Wrench is a double sided box wrench with a ratcheting box that is forged from chrome-vanadium steel and featuring a comfortable, ergonomic handle. The wrench (sold individually) is heat-treated and meets or exceeds ANSI and DIN specifications and features an open box on one end and a ratcheting box one the other. The black chrome finish helps prevent corrosion while the ergonomic grip reduces hand fatigue, ensuring this will be your favorite wrench and will last a life-time.